A graduate of the University Of Illinois School Of Law and the University of Chicago Graduate School of Business, Randall (Randy) Wolter has practiced law in Illinois since 1974. As counsel for Trans Union Corporation, he handled complex leasing agreements, developed contracts still being used by retailers and reporting agencies in the credit industry, and represented the company in civil litigation. As counsel for Continental Bank he handled over two hundred state and federal court cases required to be filed in Cook County pursuant to national banking laws. In 1979 Randall was asked to serve as an economic advisor for Governor James Thompson and the Illinois General Assembly. Relocating to Springfield, Illinois, he served as Director of the Commission for Economic Development for two years. Recommendations he made related to interstate banking, workers' compensation, the development of overseas business offices marketing Illinois products, tourism, the development of a Chicago container port, and job training were passed into law during or shortly after this period. Randall returned to the private practice of law in 1981 and has since concentrated in personal injury, professional malpractice and workers' compensation. He has been a member of the Board of Governors of the Illinois Trial Lawyers Association for 18 years and is a Barrister in the Lincoln/Douglas Inns of Court, a Fellow in the American Academy of Trial Counsel and a charter Fellow of the Litigation Council of America. He, as well as his partners, have annually been elected by his peers as a Leading Illinois Lawyer and Illinois Super Lawyer. 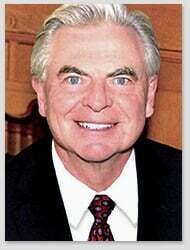 In 2006 Mr. Wolter was awarded the Illinois State Bar Association's Tradition of Excellence Award. In 2001 Randall was named the first Northern Illinois University Central Illinois Alumni of the Year. The award was based primarily on his civic activities. Randall has served on the boards and as President of the Sangamon County Development Corporation, Railsplitters Sertoma, American Cancer Society, Lincolnfest, Inc., Big Brother/Big Sister and the Family Service Center. Since 1981 Randall Wolter has obtained over sixty million dollars for his clients. He has been an author and lecturer for the Illinois Institute of Continuing Legal Education and has taught economics and business law at the collegiate level. In addition to his many civic activities, Mr. Wolter has developed country club/residential developments in Springfield, Illinois (Panther Creek Country Club) and Orlando, Florida (Black Bear Country Club).